New York : Making a simple breakfast toast could contribute to a high level of indoor air pollution, say researchers. For the study, Vance used advanced sensors and cameras to monitor the indoor air quality of a 1,200 square feet manufactured home. Over the course of a month, the team carried out a variety of daily household activities, including cooking a full Thanksgiving dinner. During the experiment, the measured indoor concentrations were high enough that their sensitive instruments needed to be recalibrated almost immediately. 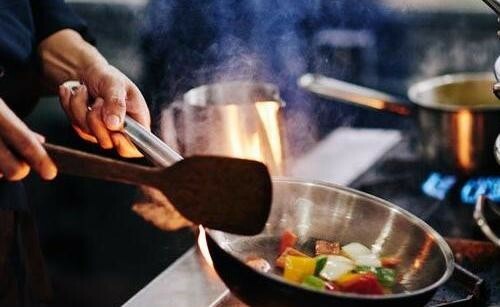 Vance said it is apparent that homes need to be well ventilated while cooking and cleaning, because even basic tasks like boiling water over a stove top flame can contribute to high levels of gaseous air pollutants and suspended particulates, with negative health impacts. Moreover, the airborne chemicals that originate inside a house do not stay there. The volatile organic compounds (VOCs) from products such as shampoo, perfume and cleaning solutions eventually escape outside and contribute to ozone and fine particle formation, making up an even greater source of global atmospheric air pollution than cars and trucks do, the researchers explained in the paper presented at the 2019 AAAS Annual Meeting in Washington.